How did that spot get there? 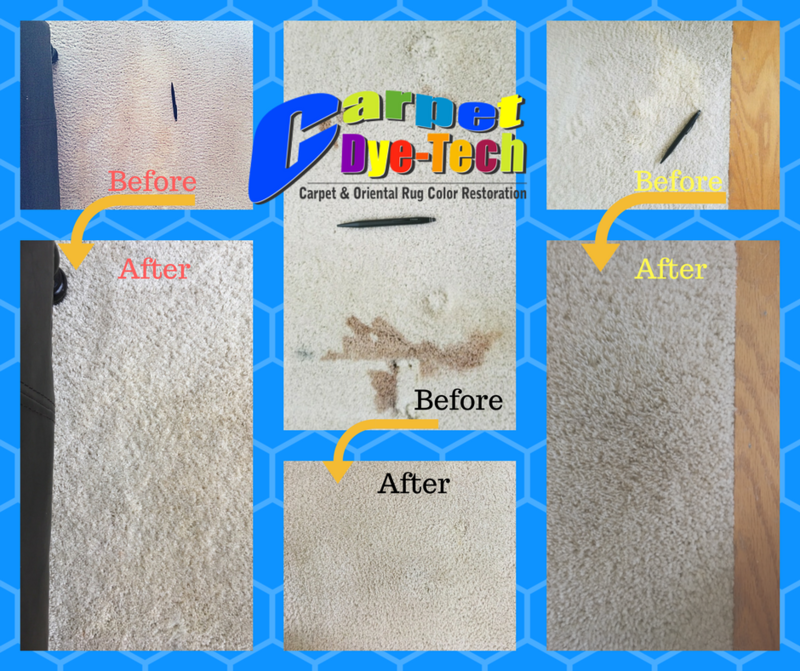 That is often a common question among hotels, businesses & homeowners when a spot or stain is noticed upon their pristine and beautiful carpet. Sometimes you know how or when it happens, other times it is a mystery. 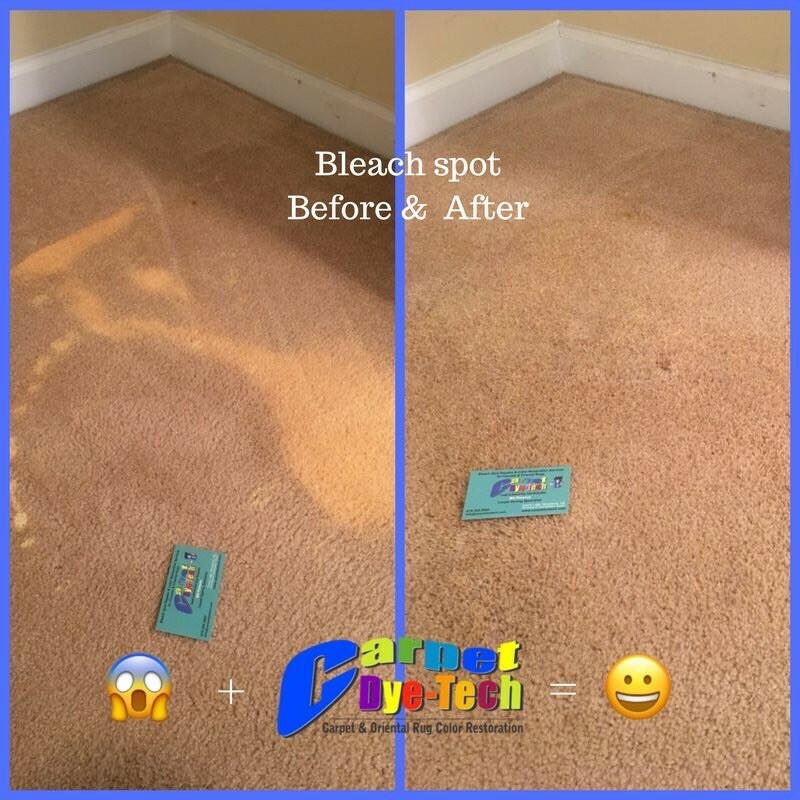 They can happen simply by carrying bleach or bleach based products and dropping it at the most catastrophic time, over spraying cleaners, attempting to clean a stain with the wrong cleaner, or too harsh of a cleaner, or a number of other ways. 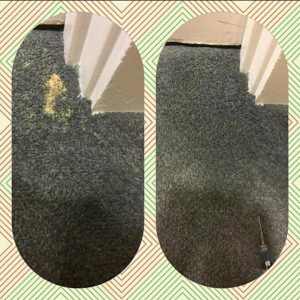 Spilling bleach on the carpet is a devastating event that causes waves of emotions; anger with a string of profanities, sadness with a plethora of tears and defeat. 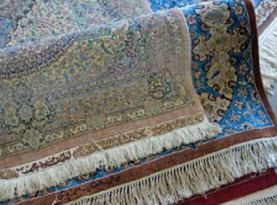 However, the following emotion will be joy, because with Carpet Dye-Tech, your beloved carpet or expensive Oriental Rug is repairable with our skilled color dye process. 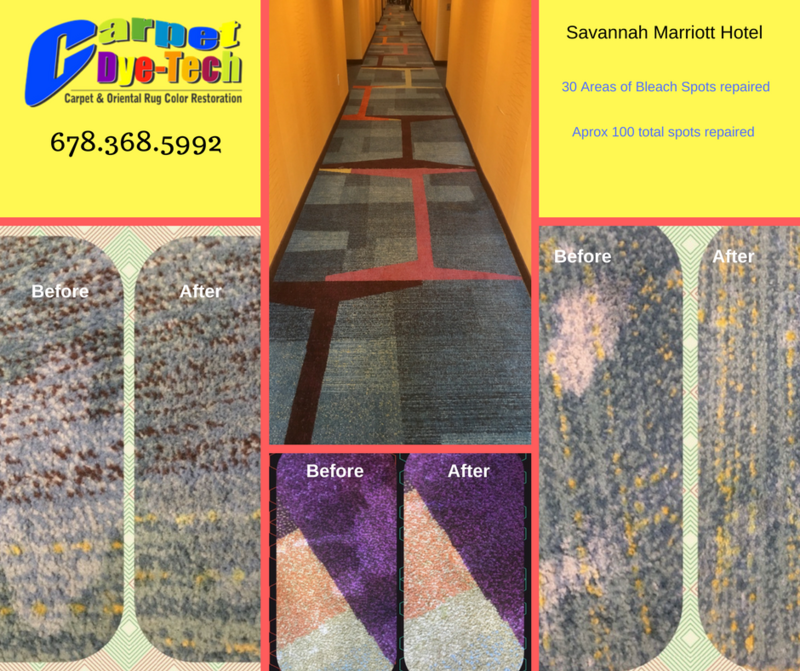 As well, our high-end (non-toxic) dyes are completely colorfast and can be walked on minutes after applied! 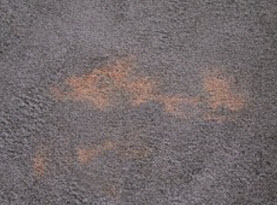 For starters, it is important to know that the bleach spots are not “stains” . 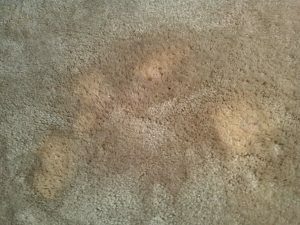 A “stain” is simply a spill of a drink, food, dirt or other substance that gets into your fibers discoloring it from the physical substance and allowing it to dry attached to the fibers. 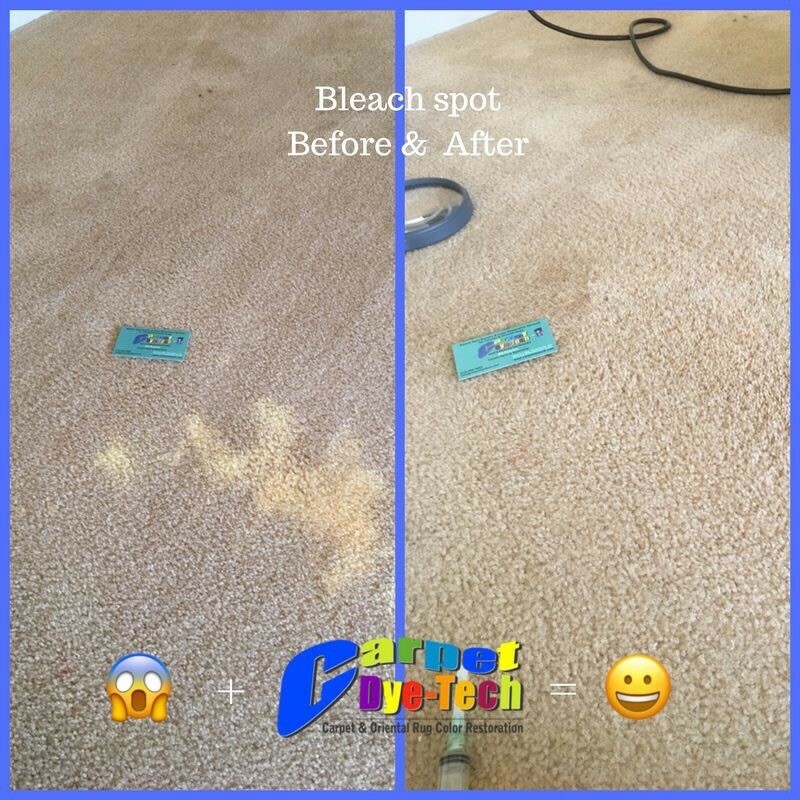 A bleach “spot” on the other hand, is a chemical or solution that has physically stripped (dissipated) the Dyes from the carpet/rug fibers. Whether the bleach spot is mild or severe, the color or combination of the 3 primary colors are gone (or faded). Now depending on how severe the bleach spot is, it could still have some dis-color to it (which would be a combination of 1-2 colors remaining) or just some yellow left (which means the reds and blues are gone and some or all of the yellow dye still remains), or worst case, just a shade of white remains which indicates that all three primary colors have been (mostly) stripped from the fibers. Keep in mind that the order a bleach spot strips the color … the blues first, then the reds and then finally (the most stable of the three primary colors) the yellow. The good news is that it CAN be repaired! 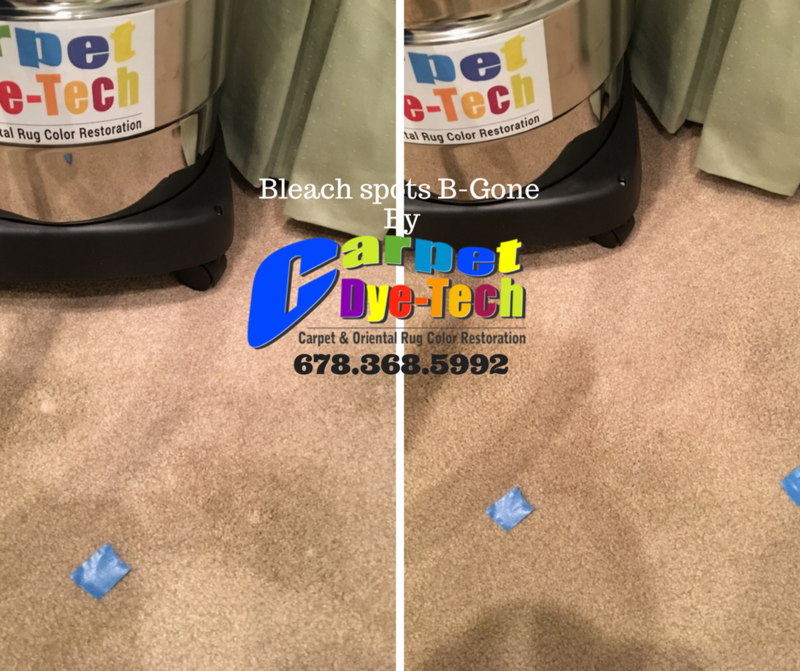 Repairing a bleach spot should only be attempted by a skilled and certified dye repair expert (there are very few of us out there in the industry). 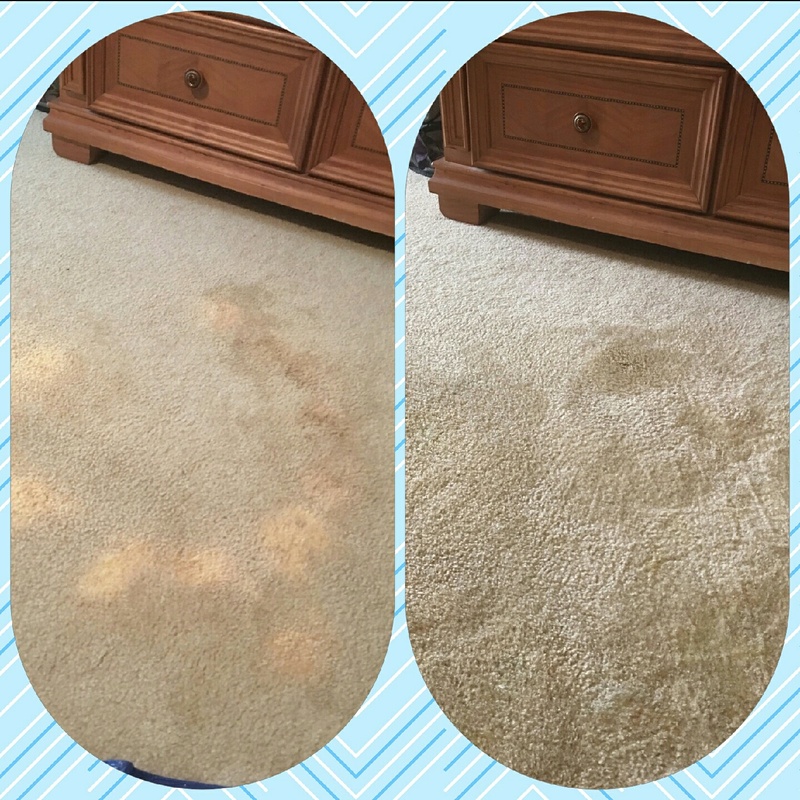 Carpet Dyeing can cause more damage than good if not done properly, as well as utilizing the correct equipment and quality liquid Dyes. 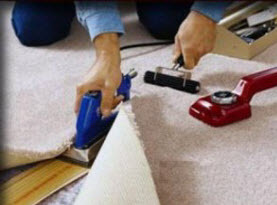 We first have to do a fiber test to ascertain if your particular carpet and/or area rug is ‘dyeable’. Wool, Nylon, silk or silk blends, cotton & viscose are ALL dyeable fibers. Polyester, Olefin & Polypropylene fibers are NOT dyeable because they are factory ‘solution dyed’ which have no dye sites. 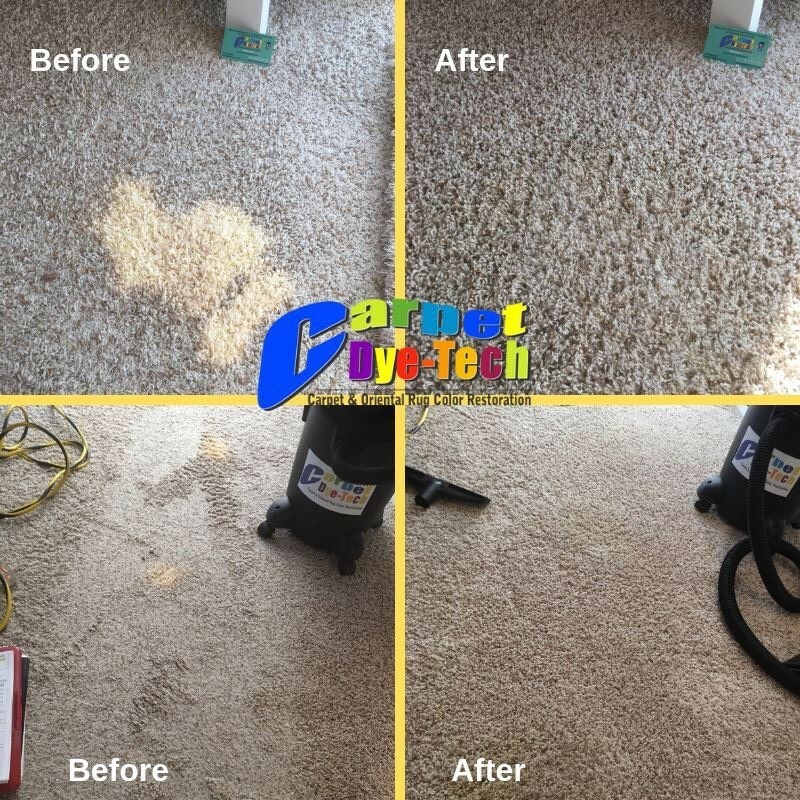 Once we determine your carpet fiber is dyeable and can be repaired, we then need to completely neutralize any remaining bleach in your Carpet and/or area rug before doing the re-dyeing, otherwise any remaining bleach can still strip some of the new dyes applied which can cause more color loss. 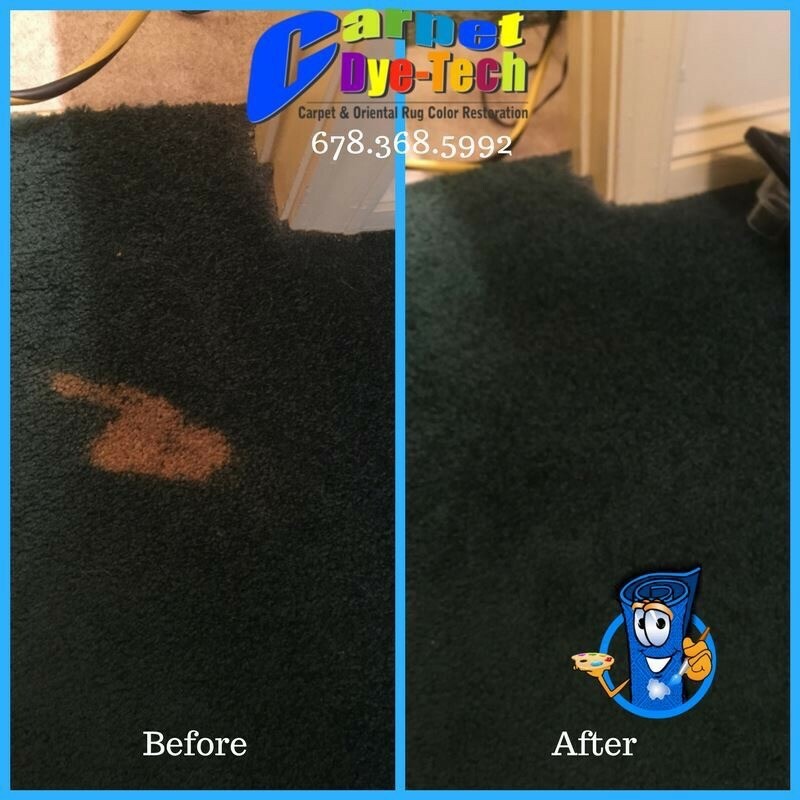 We then will repair your bleach spot by actually creating a unique and perfected color formula consisting of 1-3 primary colors that will match the target color on your carpet and/or area rug. 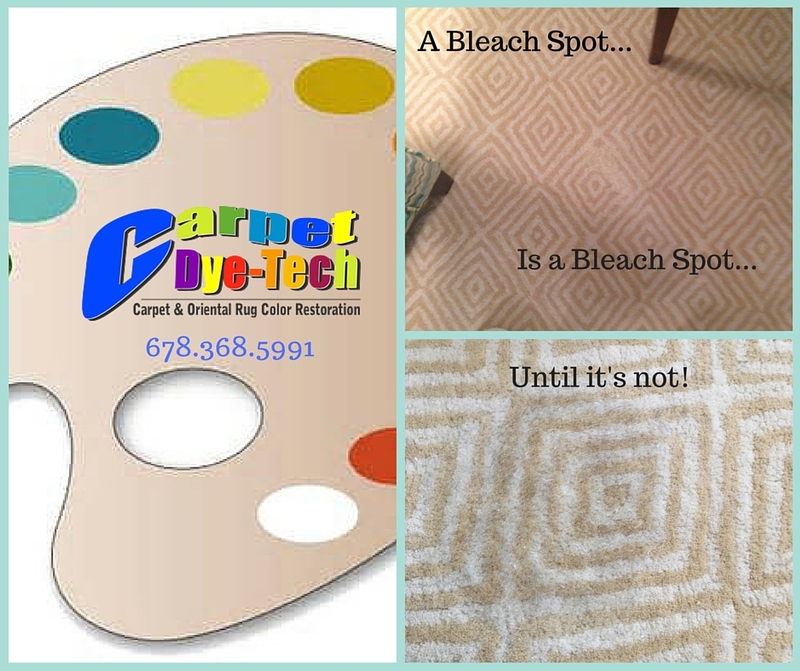 Call Carpet Dye-Tech to repair YOUR next ugly bleach spot! 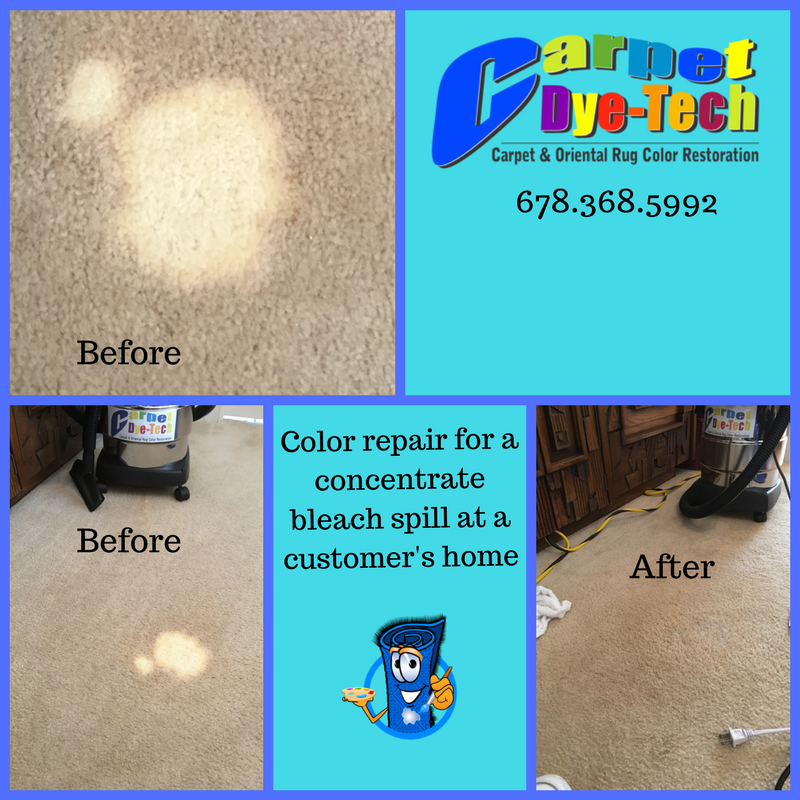 Dye Color Bleached Damaged Spots in Alpharetta, Roswell, Marietta, Atlanta & all of Greater Northern Georgia! 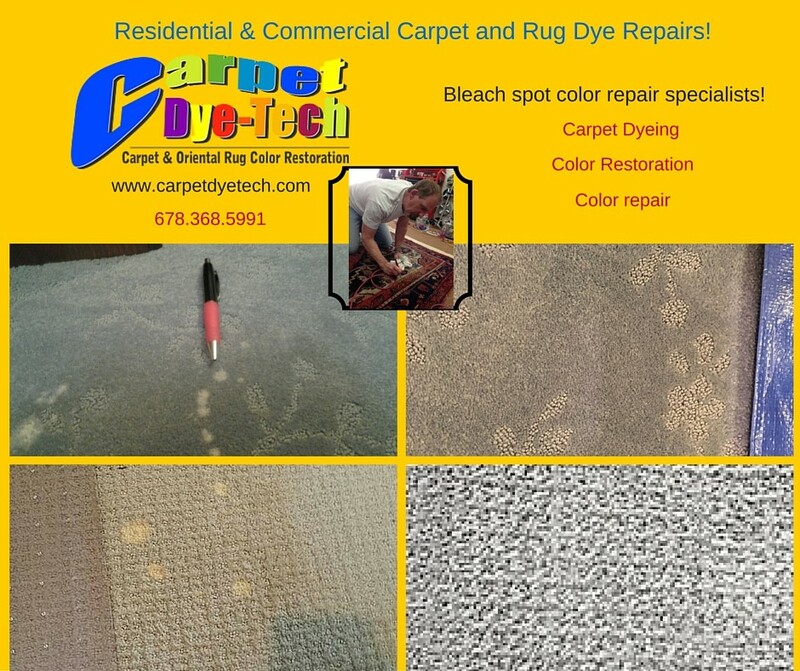 Carpet Dye-Tech specializes in restoring carpet’s colors. 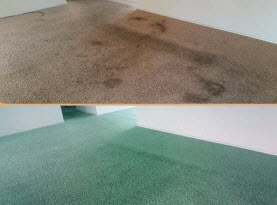 We dye carpet in a number of ways including repairing bleach spots. 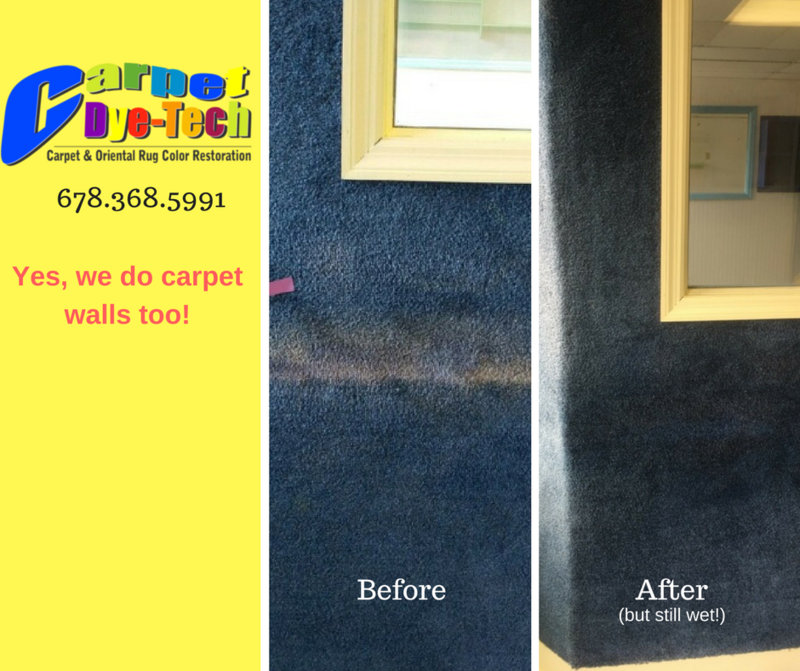 Our specialists skillfully match the faded beach spot remaining colors to the targeted undamaged colors via blending the perfect combination of all three primary colors. 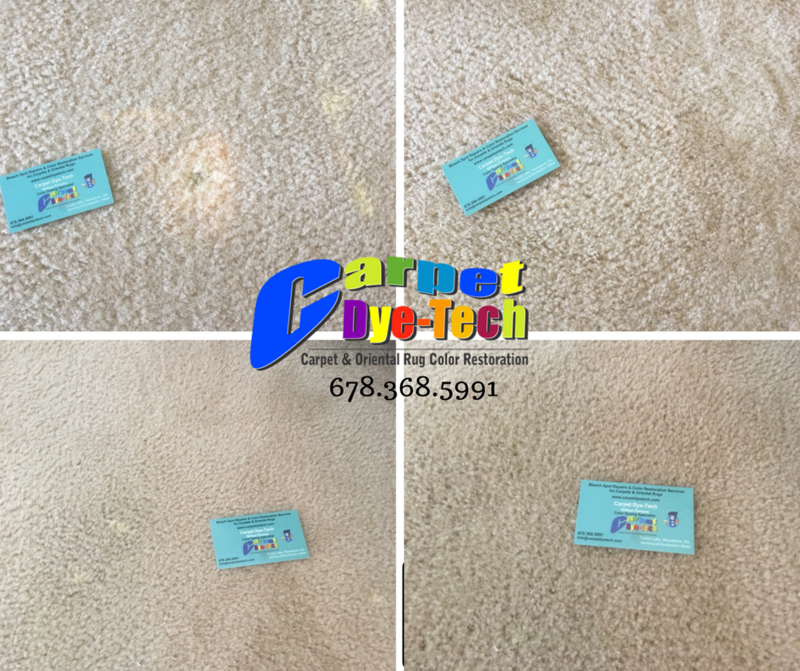 Even if your carpets are featuring intricate and colorful patterns, Carpet Dye-Tech technicians have the skills to recreate the patterns and restore the carpet back to its original glory. 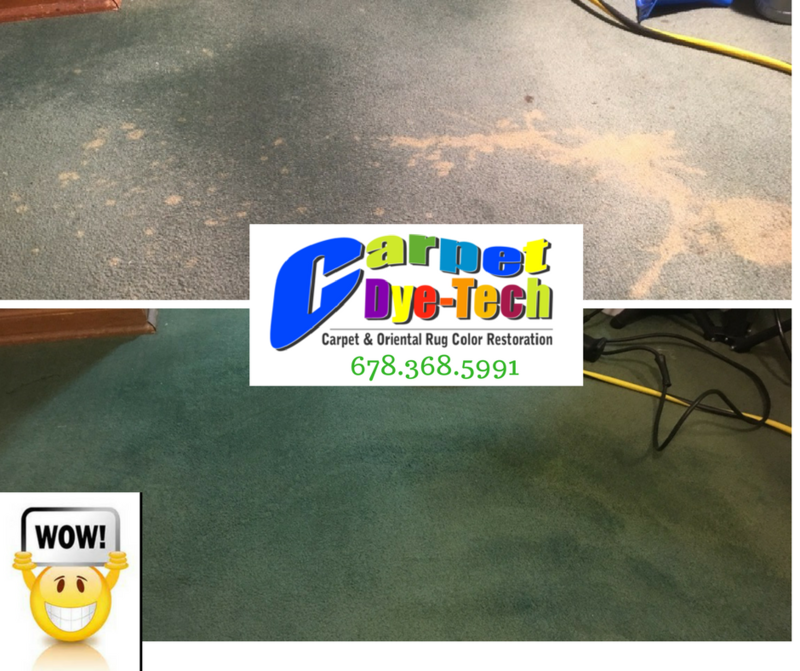 If your carpet has become marred with bleach, call in the experts of Carpet Dye-Tech to save you the time, aggravation and thousands of dollars in the alternative of replacing the carpet … and let us fix your bleach spot today!